No guest? No problem. GREAT fun show last night. I enjoyed it much better than May 25. Had the $85 mystery seats again and ended up in 323 (about 2/3 of the way back uppper). Not bad but I was on a mission to get an upgrade. Long story short and much social engineering later, 2 songs in we were sitting in 108 (lower bowl in line with the end of the lip). Excellent seats. So glad to get CYHMK with Mick Taylor. Was neat to hear Jagger talk about Come On, their first single released 50 years ago TODAY! Charlie played a bit of it and Mick sang a few bars then it petered out. Oddest part of the night was the web vote of Worried About You. Odd in that I find it hard to believe that fans would pick this over Sweet Virginia or even Loving Cup. NOBODY in the crowd knew the song at all and it kinda threw the flow of energy in the show off a bit. Jagger handled the falsetto parts very well though. The highlight of the night for me though was the Midnight Rambler. Mick T just shredded on it and it seems Jagger gave him much more room to play then on May 25. Really really great stuff. If that was possibly the last Toronto show, then it was an excellent way to send off. Thank you Rolling Stones. So...this was how it was to end... a forty-one year relationship, from an awe-struck kid to a slightly cynical adult. But... the relationship did not disappoint. From the opening chords of Get Off of My Cloud to the ubiquitous chorus of Satisfaction, this show delivered the spirit of the Stones. I agree-they are all older, grizzled and sometimes flawed in their musicianship, but they play with such conviction that it really makes me believe in Rock and Roll. Although The Rolling Stones have an impeccable back catalogue and should showcase the lesser known songs, they played the hits with great vitality. Even when Rocks Off veered into sloppiness, Jagger corralled the group to finish with a semblance of dignity. I was enthralled at these pure highlights : Worried About You, Midnight Rambler, and Can't You Hear Me Knocking. What more can I say... after 41 years and attending many shows, including Palais Royale and the Phoenix, the Band mesmerized me on June 6. I will rank this show as one of the best that I have seen on this tour ; and one of the best since '72. 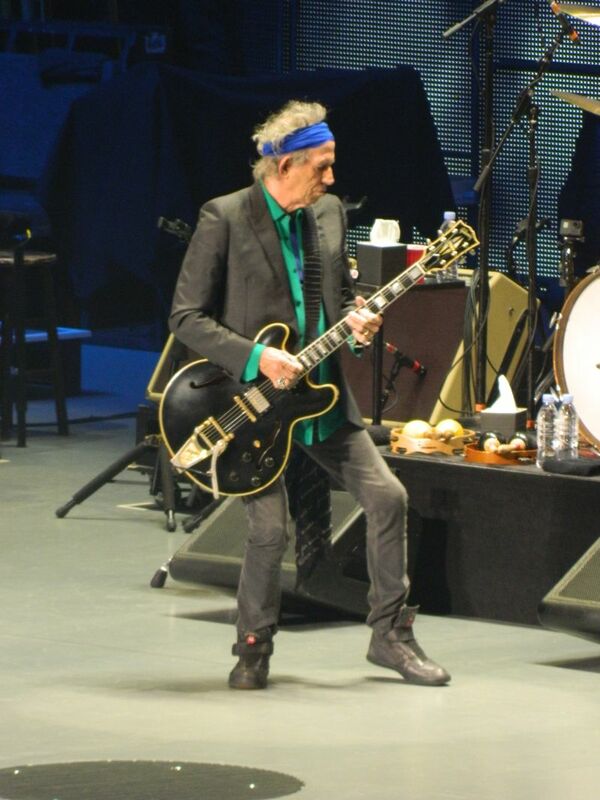 Having been to both Toronto shows I thought the song selection was much better at the first show ,I don�t know why thy played Worried About You and Emotional Rescue .Yes Mick is old so big wow he can still sing falsetto song so what do it once .There were so may options that could have taken place with guitars . I hated Emotional Rescue when it came out and still do .Rocks off is so cool and so are many of the other options . When I saw they played Sway in Chicago I knew we would not be getting it . I was 5 rows off the pit and took over 1000 pics so I probably have 200 good ones so I�ll post . When they walked off I had a tear in my eye ,I�ve seen the Stones over 40 times including some classics ( Oshawa CNIB ,club shows ,etc.) and realized that this remarkable run dating back to 1975 in Buffalo when I was a kid in school to being a parent and business owner has probably come to an end.One of my college roommates flew in last night and we had been to 20 shows together and we had dinner ,talked about our kids and the Stones WOW.I had a great run with this band and I am so happy to have them in my life.